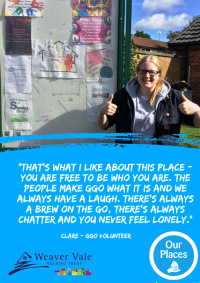 "As soon as you walk through that door, you are one of us"
If you pop in to the GGO Community Bungalow on any day of the week you will be guaranteed a warm welcome, a cuppa and be greeted by a sea of friendly faces. 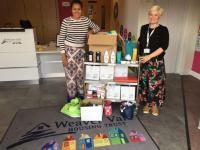 Read "As soon as you walk through that door, you are one of us"
Every month Weaver Vale Housing Trust holds a ‘Dress Down Day’ for a chosen charity. 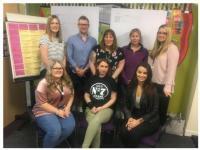 With welfare reforms having a significant impact on tenants’ ability to pay their rent, it is increasingly important that we make sure that families and individuals are being allocated properties that are appropriate and affordable. As your landlord, we have a duty of care to you by ensuring that your home is safe and meets the standards we set for all our homes. Gas Safety is top of our agenda.